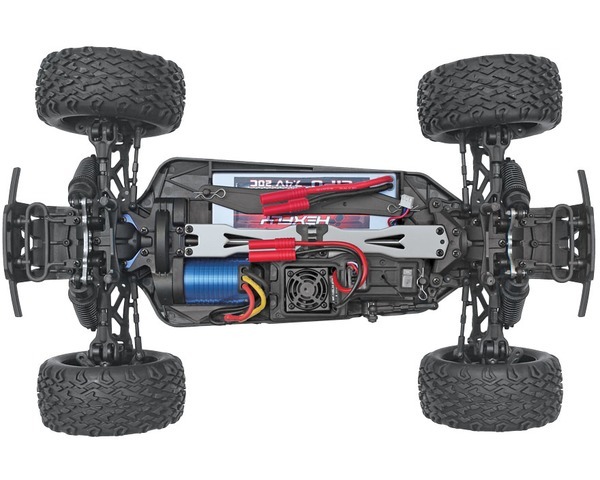 light weight plastic chassis, four oil filled adjustable coil over shocks, and independent suspension offer rock solid performance as the soft compound monster truck tires leave disaster in their wave. Fear not! 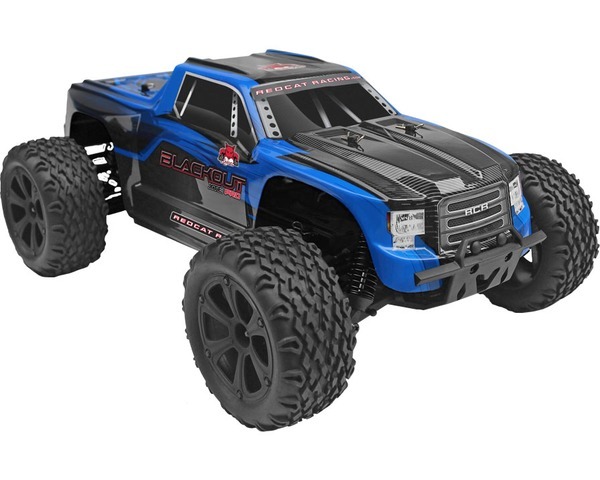 A 2.4GHz radio system and waterproof electronics ensure control, for those who dare to unleash the power of the Blackout!